Saw one of these this evening. Seemed a very nice bat. 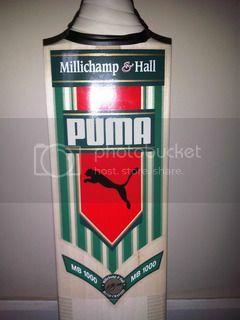 Ex-Slazenger batmaker? Remind me of the name?